New York - Finding it hard to secure fights in the 154 pound division, Demetrius Andrade (24-0, 16 KO’s) is more than willing to throw his name in the hat of boxers who are open to invading the middleweight division. Andrade was a viewing spectator this past Saturday at the Broner-Garcia fight at the Barclays Center in Brooklyn and hinted that if he wanted to move up, it had to be against a big name that would put him in front of the food chain. 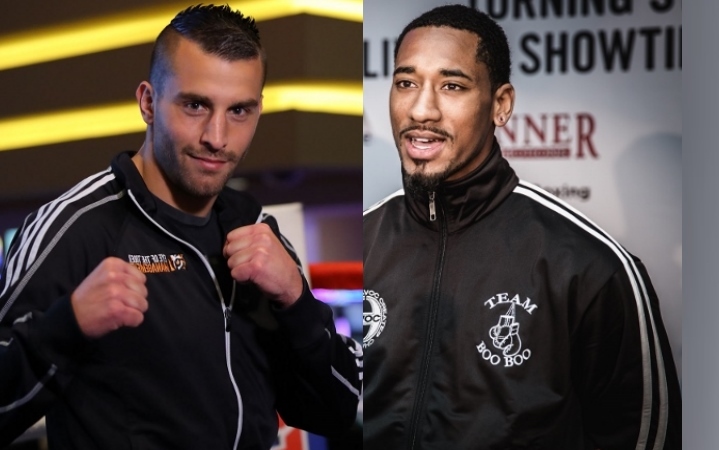 Andrade feels that a fight with former IBF world champion David Lemieux (38-3, 33 KO’s) would be perfect. Although Lemieux has a few defeats on his record, his fights have been televised by HBO and Andrade feels that a victory over Lemieux could have him in the conversation for either Gennady Golovkin (37-0, 33 KO’s) or Canelo Alvarez (49-1-1, 34 KO’s). The path that Andrade is trying to take is the HBO route. However, should he head the Showtime route, he would most likely encounter a fight with his friend Danny Jacobs (32-2, 29 KO’s). However he feels the pot has to be sweet enough for a fight with Jacobs. THAT would be a great fight! HBO boxing is on the decline though. Hope it happens. So he wants Lemieux, but Lemule is keeping an eye on Cotto. Any second choice for Andrayde? Or he'd rather just rot in obscurity? Then move up to 160.